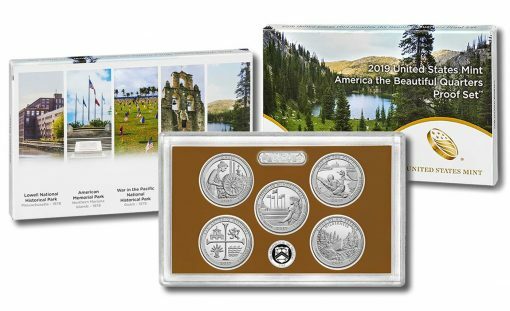 Priced at $15.95 and named the 2019 United States Mint America the Beautiful Quarters Proof Set™, it offers collectors their first opportunity to get all 2019 quarter designs. 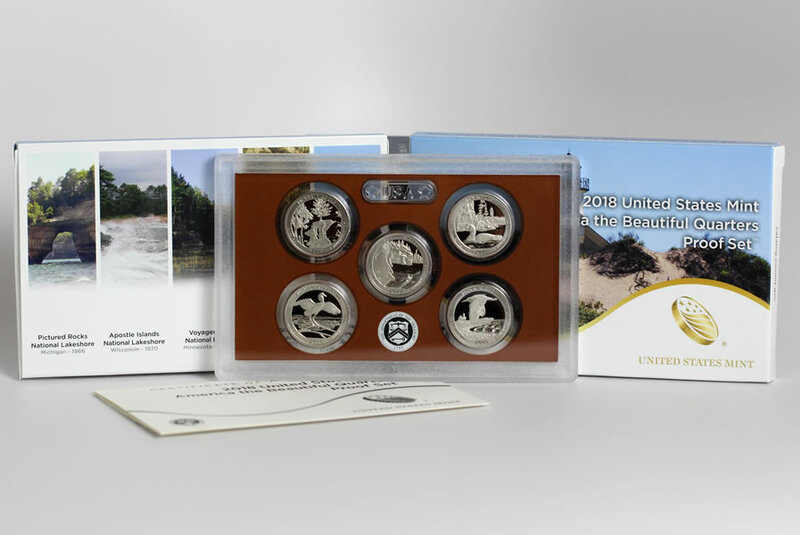 This collectible continues the Mint’s America the Beautiful Quarters® Program that dates back to 2010. By the program’s conclusion in 2021, a site from each state, the District of Columbia and the five U.S. Territories will have been honored. Each is struck to proof quality which offers sculpted, frosted foregrounds and mirror-like backgrounds. To achieve this, employees at the San Francisco Mint utilize burnished blanks that are struck multiple times with specially prepared and polished dies. The process not only produces the proof finish but it creates a coin with a greater level of detail than circulating counterparts. Speaking of the circulating quarters, the first of the series for this year (Lowell National Historical Park) is scheduled for release into circulation on Feb. 4. The other quarters will follow with release dates of April 1, June 6, Aug. 26 and Nov. 4. Last year’s quarter proof set launched on Jan. 23, 2018. Still available and also for $15.95, its sales through Jan. 13, 2019 total 80,812. All five coins of the set appear together in one protective lens shipped inside a cardboard sleeve. The sleeve offers photographs of the sites honored by the coins within. A certificate of authenticity is also included. The 2019 America the Beautiful Quarters Proof Set is available from this U.S. Mint online page, or by calling 1-800-USA-MINT (872-6468). There are no mintage, product, or household order limits.